Water Spaniels | A Barbet is a Barbet is a Barbet..
A water spaniel is different from a water dog in that it has no hair on the face and fringed legs and tail. 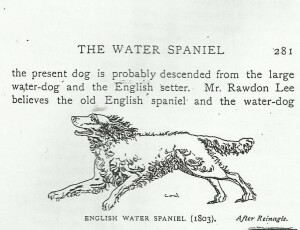 Originally they may have just been classified a dogs that went to water and then there was a need to be more specific. 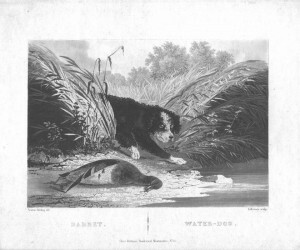 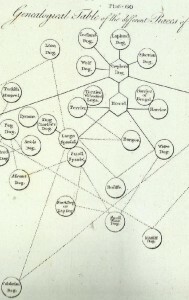 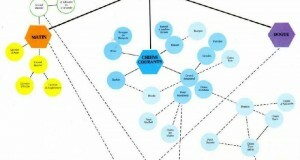 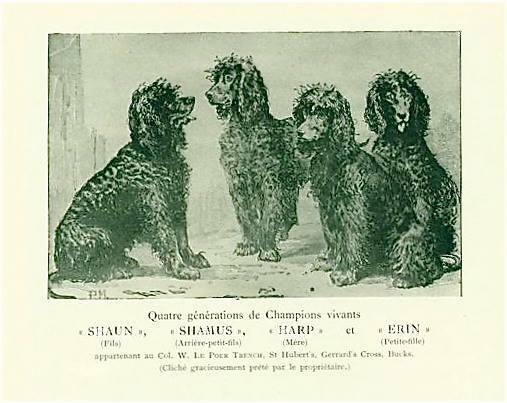 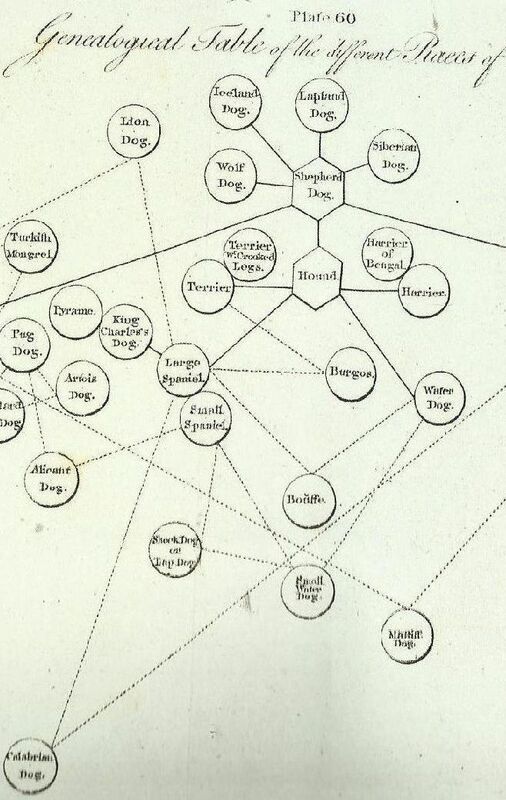 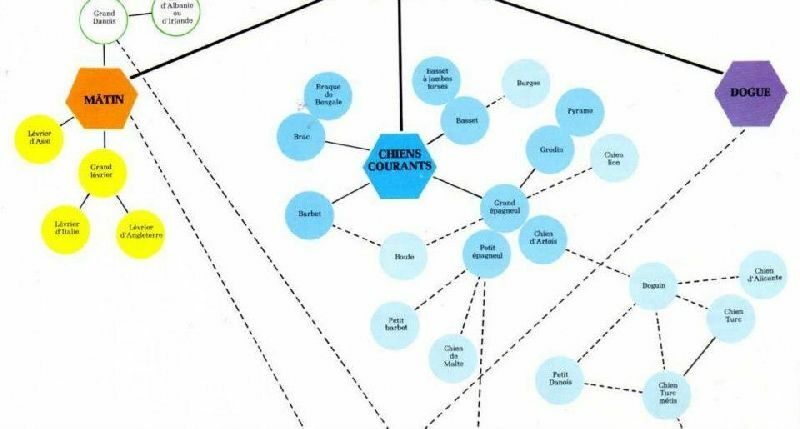 If you compare Buffon’s classification of breeds ( the French and the English are inverted) circa 1760, you will notice that Chiens Courants corresponds to Hounds; the Large and Small Spaniel are similar in both languages, but the Barbet and Petit Barbet are only on the French classification, not the English one which calls them Water Dog and Small Water Dog. 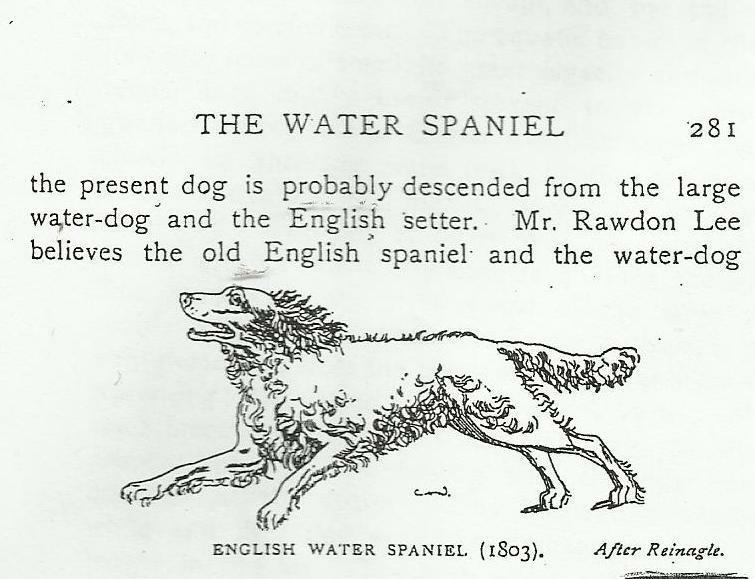 It is interesting that the French are well aware of the waterdog/spaniel difference and in the documents below. 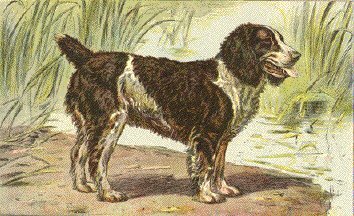 They are referring to the UK when mentionning ” big specialists” of spaniels. 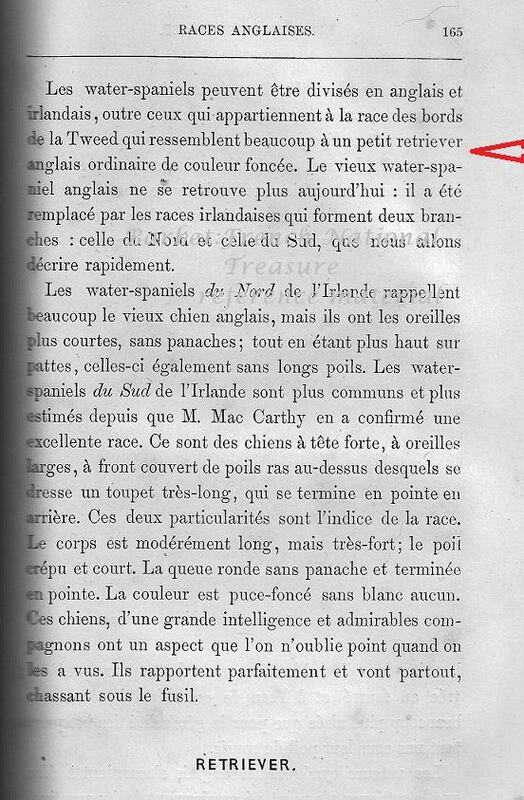 Henri de la Blanchère, 1875. The Irish Water Spaniel is of importance to us we have some lines that have some Irish in their background. 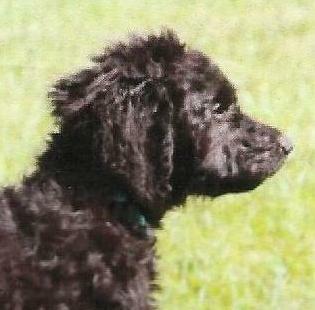 When a well-known IWS breeder, needed some new blood, what better idea than to use a barbet? 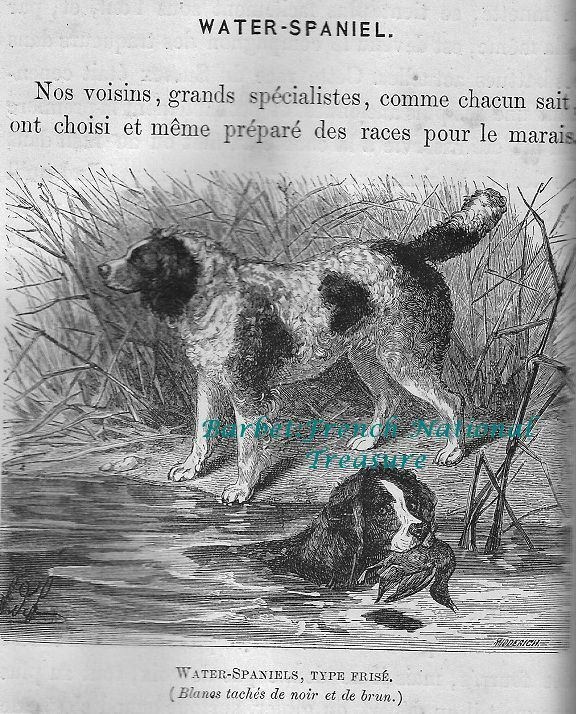 Here you have the product of a crossing ( registered in the Netherlands) of a Barbet and an IWS. In the litter, there was also a Barbet amongst the IWS ( well known fact in the Barbet world, now).It is important to know that when you have IWS on both sides of a Barbet pedigree, it is very likely that some will appear in the litters, meaning dogs/spaniel types with very little hair on the muzzle. 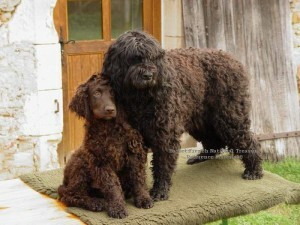 Since the breed has many creative pedigrees, it has occured several times. 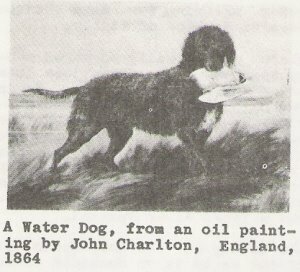 The dog will have some hair on the face, only some. 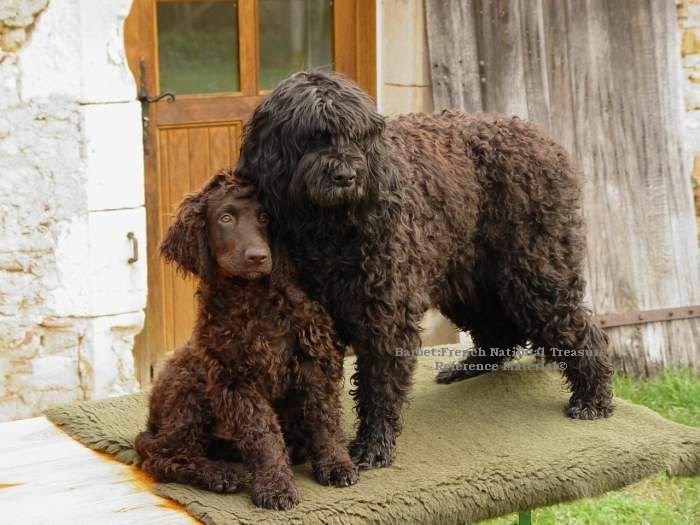 A lovely topknot!The IWS has brought new blood to the Barbet, the lovely brown liver color that does not fade and the IWS type coat.